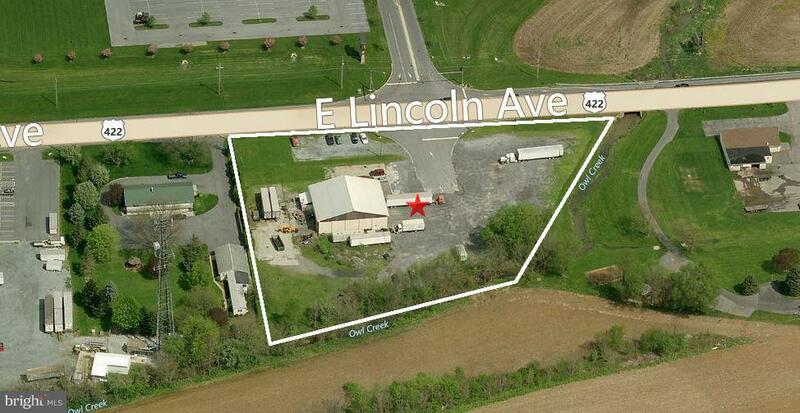 Flat 3 acres at signalized intersection of PA Route 422. Across the street from Dutch-Way Farm Market and Restaurant. Ceiling height 14'-16'. 10,000 SF parking area.